This 25-pack of 8.5x11" Print Sleeves with Locking Side Flap from Lineco is designed to preserve and protect inkjet, laser, and other types of photographic documents from moisture and outside contaminants. 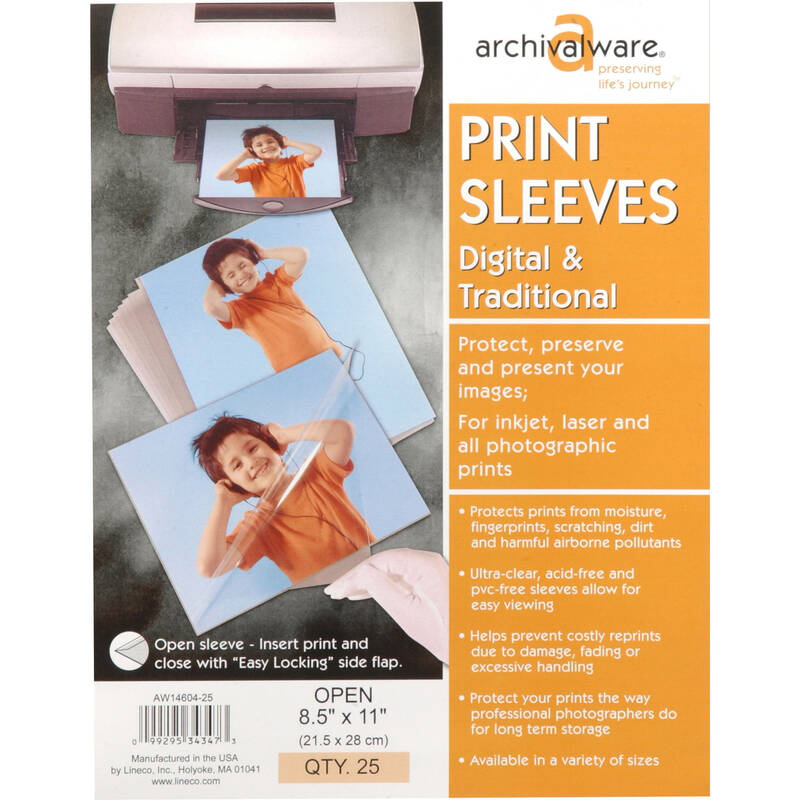 These sleeves also protect prints from finger prints and scratches due to excessive handling. Box Dimensions (LxWxH) 12.0 x 9.0 x 0.25"